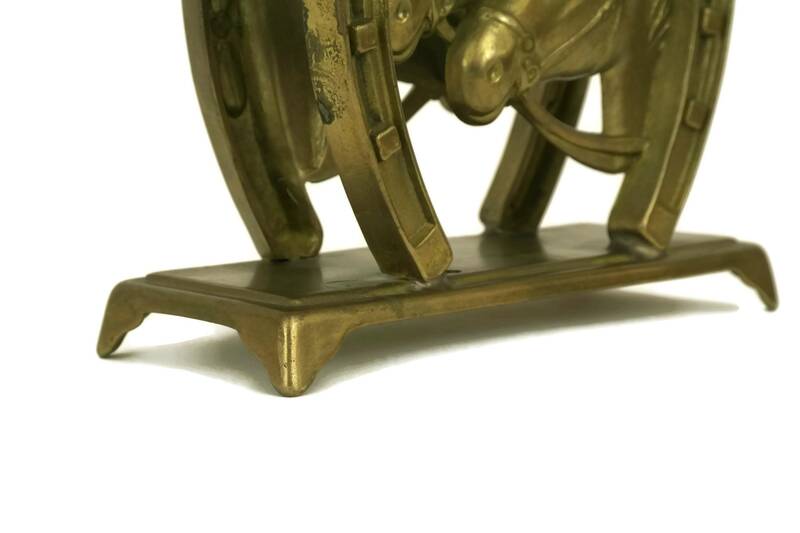 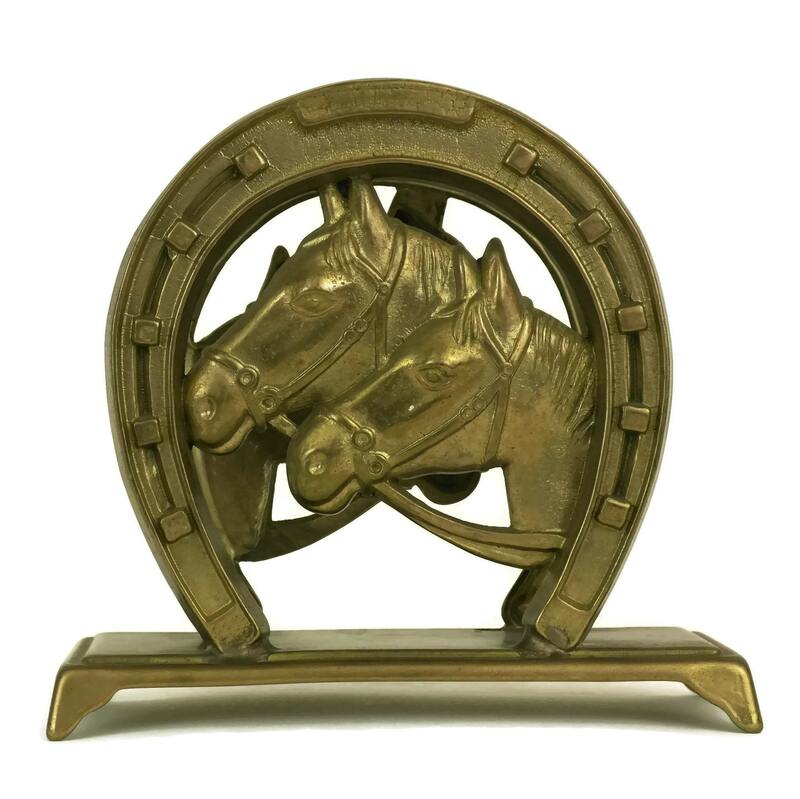 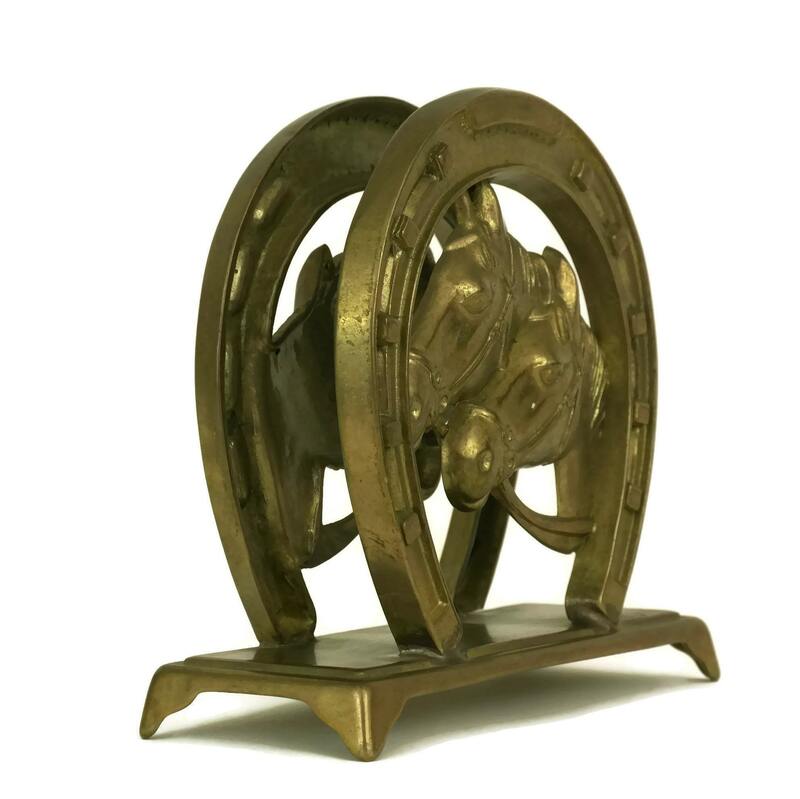 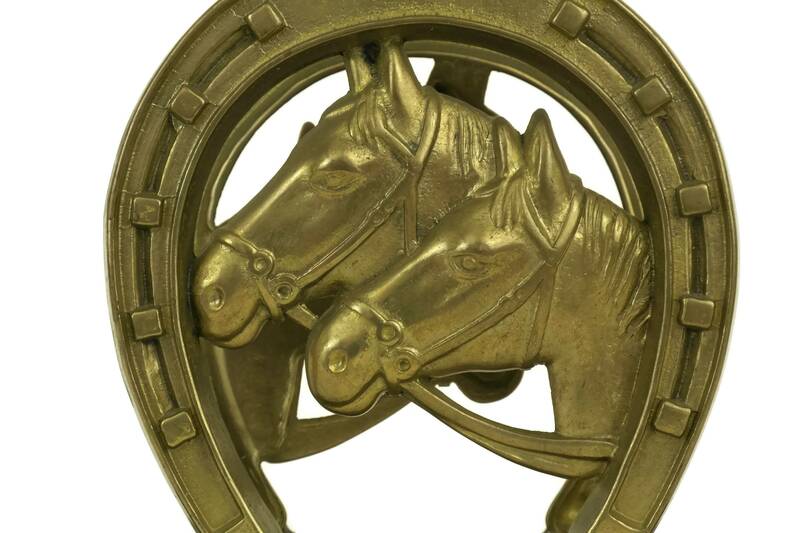 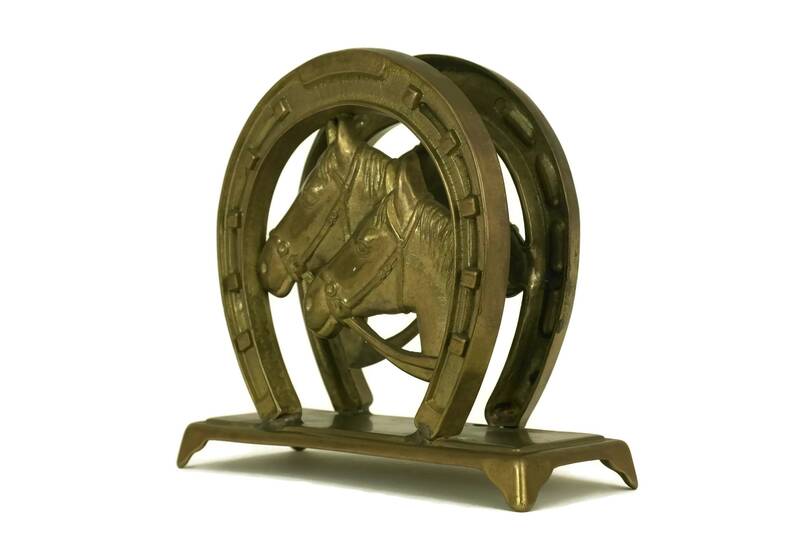 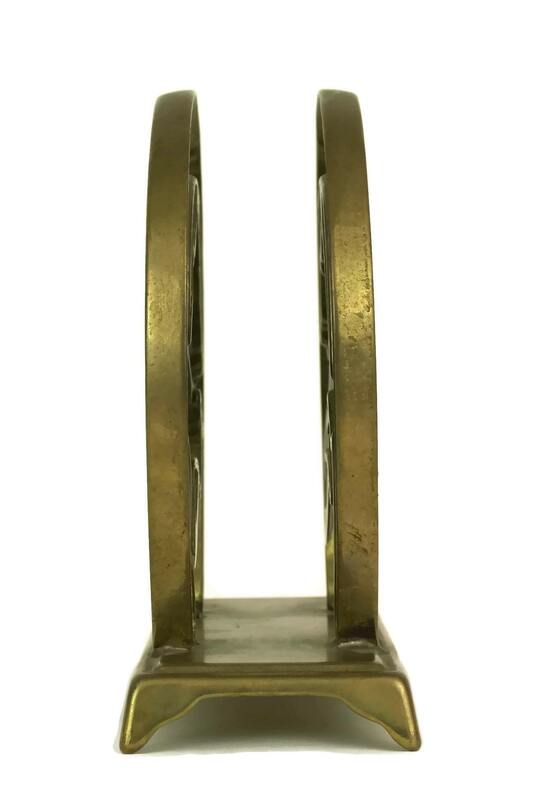 A vintage brass horse shoe letter rack from the 1970s. 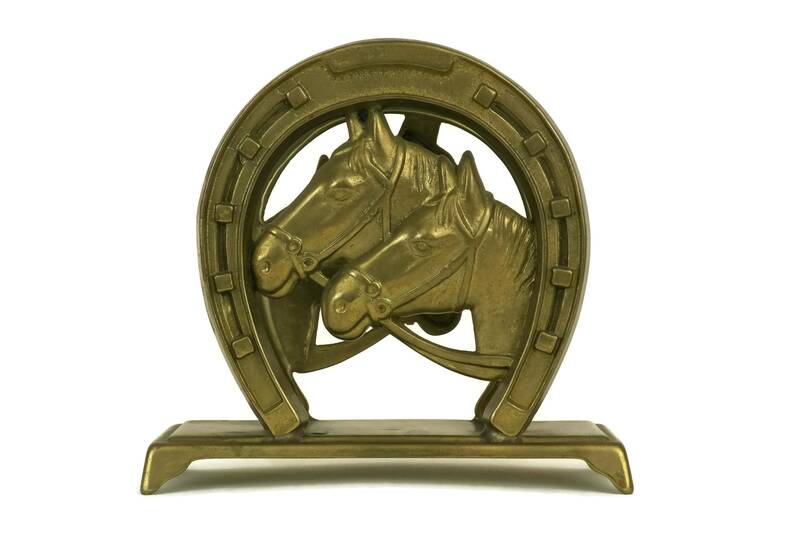 It features the profile of 2 horses on each side. 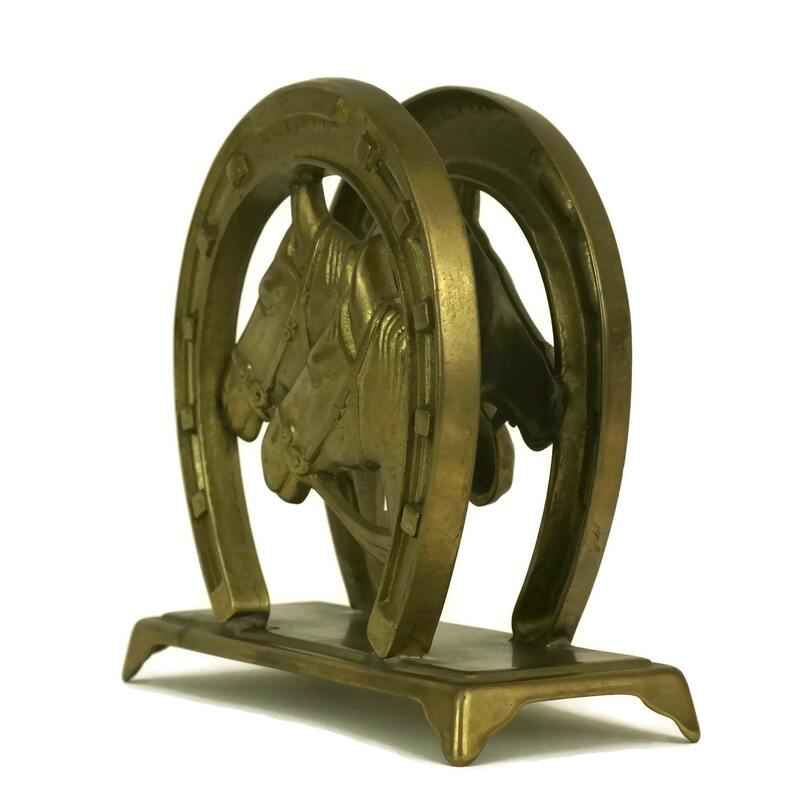 The rack can also be used as a napkin holder for your equestrian themed table decor. 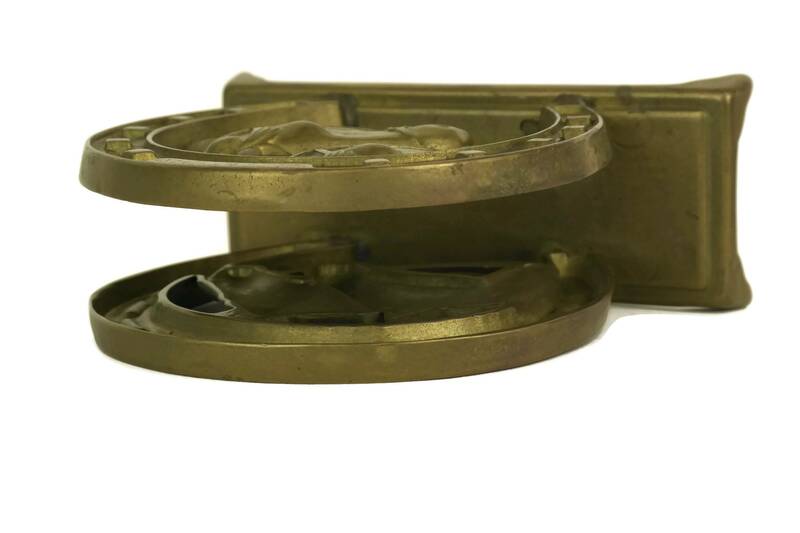 (13,5 cm x 12,5 cm x 5 cm). 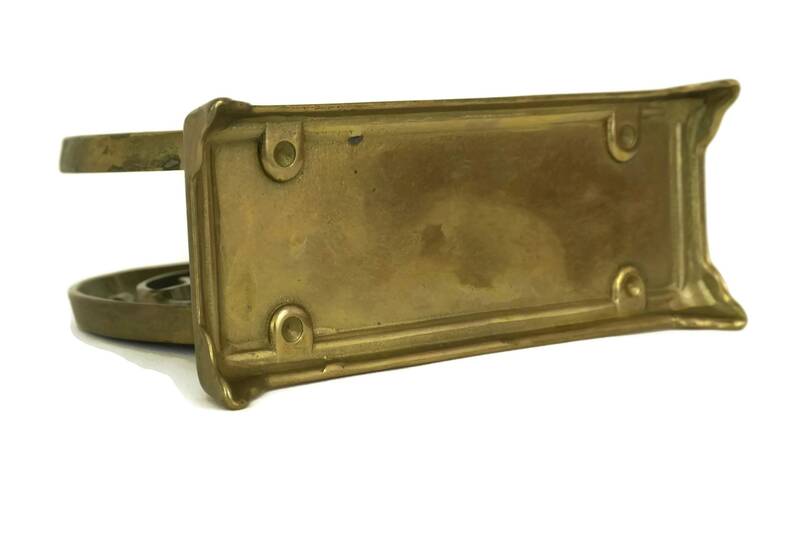 The vintage brass mail organizer is in very good condition with surface patina and light signs of wear.